The Australian Poker Hall of Fame recently nominated Van Marcus, Joe Cabret, Michael Guttman, Tino Lechich, David Steicke, and Grant Levy as nominees to potentially join the Hall's 14 prestigious members, according to Poker Asia Pacific. The timing couldn't be any better to announce this year's Australian Poker Hall of Fame nominees with the poker world focusing on the continent's biggest series of the year, the Aussie Millions. The Australian Poker Hall of Fame originated in 2009-2010, honoring the success and longevity of poker players in Australia and New Zealand. Nine players were inducted in the inaugural year, including 2005 World Series of Poker (WSOP) Main Event winner Joe Hachem, six-time WSOP champion Jeff Lisandro, Tony Guoga, Billy "The Croc" Argyros, Gary Benson, Lee Nelson, Mel Judah, Maurie Pears, and Marsha Waggoner. After the first year, no more than two members were elected from the list of nominees in each subsequent year. Leo Boxell and Danny McDonagh were inducted in 2010-2011 followed by Jason Gray and David Gorr and 2011-2012. No new members were elected in 2012-2013, with Graeme Putt serving the honors of the only inductee in 2013-2014. Marcus is currently ranked in 18th place on Australia's all-time money list with $1,372,294 in live tournament earnings, according to The Hendon Mob. His biggest cash came during the 2009 WSOP $10,000 World Championship Pot-Limit Omaha event where he finished in third place for $278,409. The player's biggest victory came in the 2008 Asia-Pacific Poker Tour Manila Main Event where he bested a field of 285 players for a PhP 8,037,000 ($164,380) payday. Cabret makes an interesting case for himself. He is not only ranked in 17th place on Australia's all-time money list with $1,415,050 in live tournament cashes, but also recently won AU$1,000,000 ($1,055,699) when he finished in second place in the 2013 Aussie Millions Main Event. 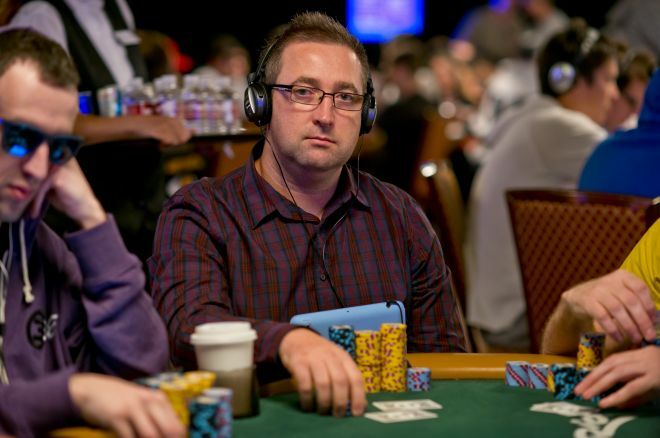 Guttman is currently ranked in 25th place on Australia's all-time money list with $975,385 in live tournament earnings. While this is less than other candidates on the list, he is still a strong candidate due to his efforts on his home soil. In addition to two top-three finishes at the WSOP, he has earned four titles at the Aussie Millions. Lechich appears to be more of a dark-horse to make this year's Hall of Fame, and may need to add a win or two before being given serious consideration. Lechich is currently ranked in 23rd place on Australia's all-time money list with $1,074,732 in live tournament winnings. While this is impressive, Lechlich's biggest wins have all come in side events, including when he won a 2007 PokerNews Cup pot-limit Omaha side event for AU$22,264 ($19,812). Steicke is one of the stronger candidates on the list with $3,364,260 in live tournament winnings, which is good enough for sixth place on Australia's all-time money list. Steicke's claim to fame is bolstered by a huge payday of AU$1,200,000 ($852,442) when he outlasted a field of 23 players to win the 2009 Aussie Millions $100,000 Challenge. Along with Steicke, Levy is also believed to be one of the favorites to make this year's Hall of Fame class. Levy's $2,087,336 in live tournament winnings places him in 10th place on Australia's all-time money list. Levy was also the first Australian national to hit a seven-digit payday on home soil when in 2007 he won the APPT Sydney Main Event for AU$1,000,000 ($875,542). Special thanks to The Hendon Mob for data used in this article.